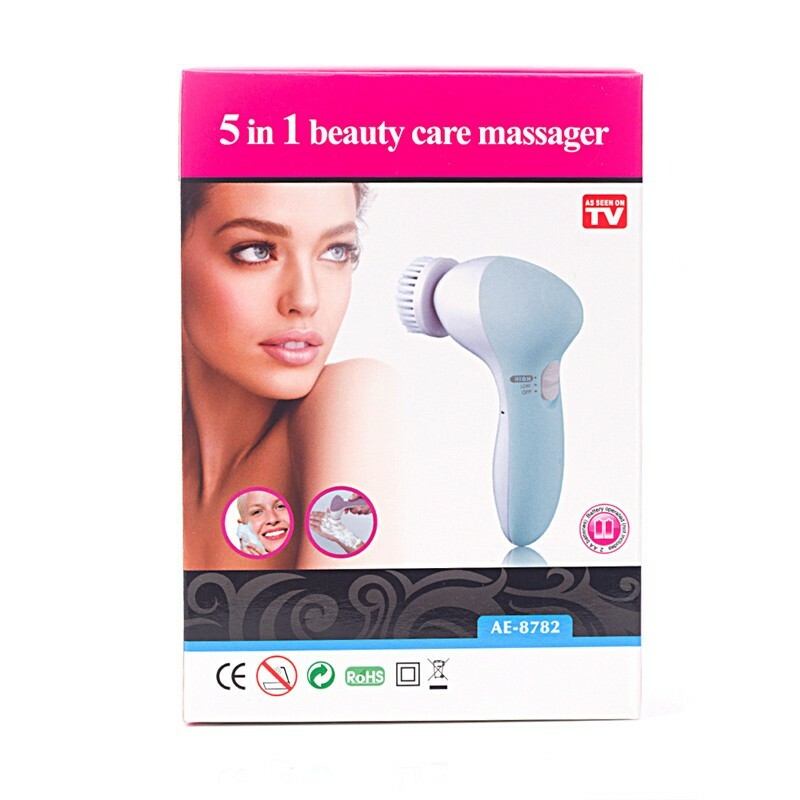 1.Multifunctional beauty care tool: deep cleaning,exfoliating,make-up removing, massage, skin tightening. 2.Daily Massage for 5-10 minutes will effectively delay aging. 3.S-type body design and fresh colors make using itself an enjoyable thing. 4.5 Removable brush heads, easy to clean. Soft brush: You can use when you wash face. It can help you do a thorough clean and exfoliate, especially deep clean the dirt inside the pores. Latex sponge: It can deep clean sensitive parts like eyes or cheeks. In the process, it also helps you relieve fatigue and eliminate dark circles. Crude polish accessory: It is more suitable for hands and feet to exfoliate and remove dead skin, thus keeping your skin smooth and firm. Rolling massager: For stronger massage. It can efficiently promote blood circulation,delay aging and improve the absorption of skin care products to reach 85%. Make-up sponge: It can be used for removing make up. Absorb grease and cosmetic residue. 1. 20° rotation axis swing design and arc brush head. All these makes our facial cleanser fit the face better and leaves no part to clean. 2.Two Adjustable gears of high speed and low speed for you to choose freely according to usage and your skin’s condition. 3.18000 hairlike Nylon bristles: Deep clean the pores without hurting our skin. Here are two examples for you. You also can find more according to your personal preference. Step 2: Wet the soft brush and then swill proper amount of facial cleanser on the brush. Step 3: Now you can directly clean your face. 1.Don’t use on dry, sensitive or inflamed skin. 2.Don’t press too hard. Your feeling is the most important. 3.Ensure it out of reach of children. 4.Don’t wipe the attachments with the alcohol, gasoline, scrubbing detergent. 6.After cleaning, leave the attachments dry naturally.